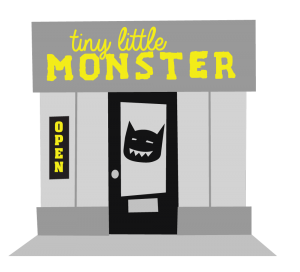 Tiny Little Monster, St. Louis’ independent tiny little print shop has heard the requests of the people. They want custom t-shirts, and they want them now. While its not quite, SAME DAY T-SHIRT PRINTING, its pretty darn close, and sometimes when you order early enough in the day, it is the same day. Please remember, we’re not a while you wait or print it on the spot print shop. No, no, your t-shirt deserves a little more time with its crafters– plus you’ve got better things to do than hanging out in our tiny little storefront. We’re centrally located in Shrewsbury, and have a lot of great places to check out while we work on your shirt. Just across the street you can enjoy a game of bowling or a beer at Shrewsbury Lanes, or get some groceries at Dierbergs or Schnucks. 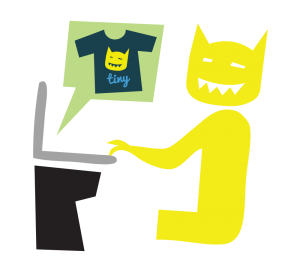 Through the power of Text Magic, we’ll let you know the moment your t-shirt is ready to pick up. Please remember, we’re only open M-F, so if you order on a Friday night, we’ll have your order ready that following Monday. So here’s how are 24 Hour System works. You select from our in stock color and size offerings, we carry sizes XS – 2XL in 10 popular colors, please give us a call to check availability if you are ordering more than 3 shirts. Our in stock shirt is the American Apparel Fine Jersey T-Shirt, which works great for DTG printing and is a great looking tee. You can order our 24 Hour Tees in 3 ways. Create your design on our website using the 24 Hour Product, head over to the design studio , Search 24 Hour to locate the right product. 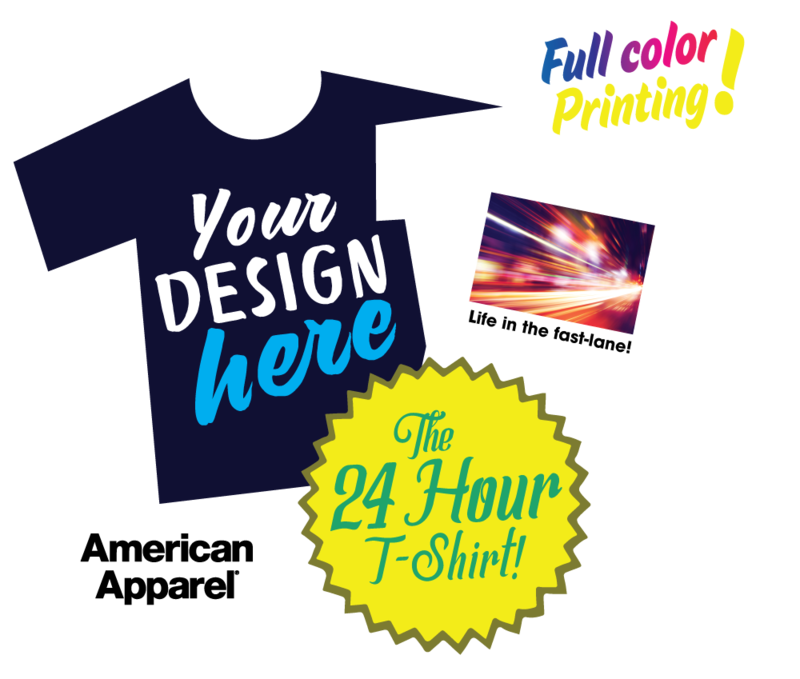 Design your t-shirt and checkout, NOTE: Turnaround time will say it will take 2 weeks, but when the rush products are ordered, we push this order to the top of our queue for a completion date of the next business day. 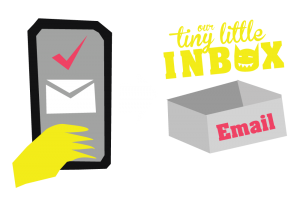 Most of our customers like to send us emails to get their order going, you can still pay online, but we help make sure your order is submitted correctly. When you do this, please include that you need a 24 Hour T-Shirt. Additional details are your T-Shirt Size(s) – we stock XS – XXL, additional sizes are available, but we need a little more time to get them in. Color of T-Shirt(s) ( Ash, Asphalt, Black, Black Heather (50/50 blend), Fuchsia, Lapis (its a very fancy word for ultramarine), Kelly Green, Red, Teal, or White), and what is going on the shirt.We can print from Jpegs, PDFS, Photoshop files, or Illustrator files, if you need to make a design head on over to our design studio and SAVE your design when you have it ready. We can look up your design by your last name. 3. Come into the Tiny Little Storefront now in Shrewsbury! If ordering online, or sending emails isn’t your thing, come see us. We’re centrally located in Shrewsbury and can help you out with your order. Keep in mind, we’re not going to print the shirt while you wait, but we show you the shirts in person, help you with a design, and text you when your order is ready for pick up. If you order before lunch time, we can have it done that same day! 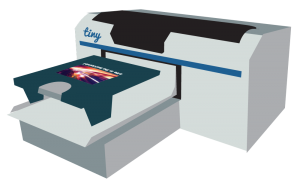 Our standard turnaround time for DTG printing is 1 week, for our standard turnaround, you increase your selection to 100’s of styles and colors of tees, plus you get price breaks for ordering more of the same design.